When L'Oreal came out with their line of new clay masks, I couldn't wait to get my hands on one. I absolutely love pampering and treating my skin with face masks, so to finally have a good drugstore option is very much welcome, not to mention exciting. 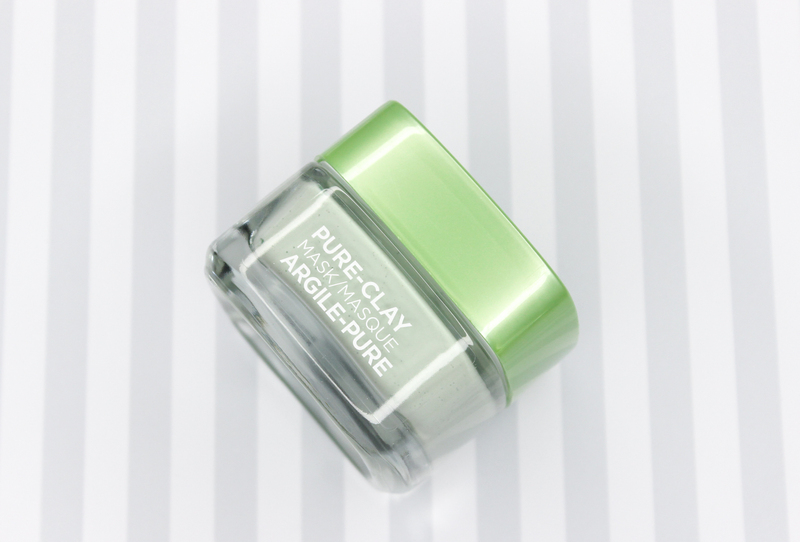 The range consists of three clay masks and they each target different skin concerns. There is the Detox & Brighten Treatment Mask, the Exfoliate & Refining Treatment Mask, and the Purify & Mattify Treatment Mask which is the one that we are going to be looking at today. 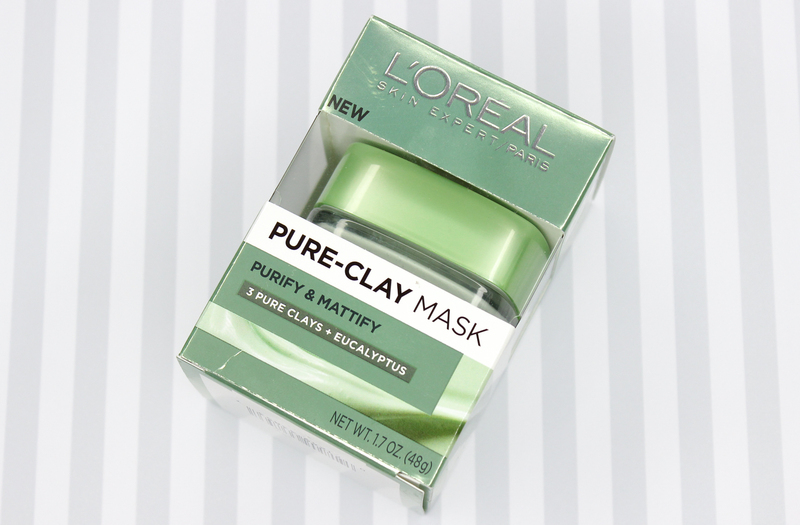 L'Oreal's Purify & Mattify Treatment Mask is formulated with Kaolin, Montmorillonite and Moroccan lava clays, as well as Eucalyptus leaf extract. This mask draws out impurities, unclogs pores, refreshes skin, and reduces excess shine to reveal a more mattified complexion. 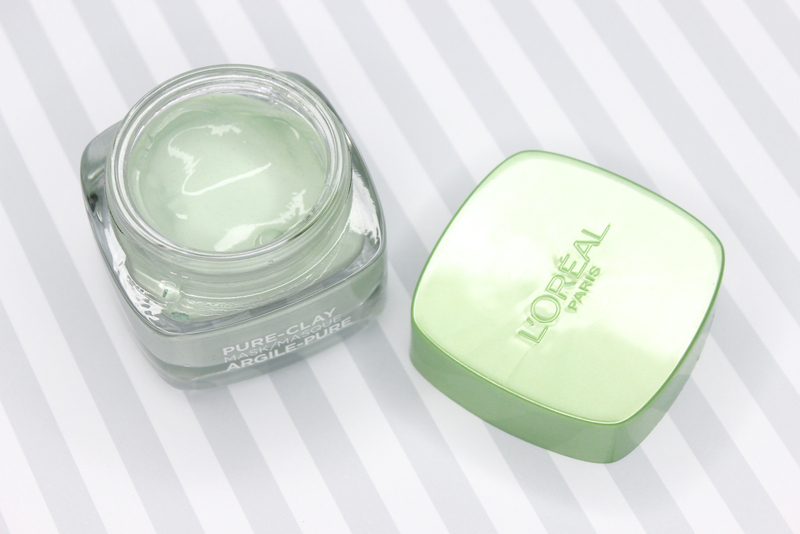 I think L'Oreal's Purify & Mattify Treatment Mask is pretty neat, for a couple of reasons. First of all, the glass jar packaging is so luxurious and looks higher end. It does feel a little heavy but needless to say, it definitely stands out among the other products on the shelves. I love how nice this mask feels on my skin upon application, and how effective it has been at cleaning out and shrinking my pores. My skin has never felt smoother or looked clearer. As for the shine bit, I am happy to report that this mask has helped out in that department. My t-zone is usually pretty oily, but thanks to this mask, the shine has decreased significantly. Note: My skin is on the sensitive side, and luckily for me, this mask hasn't caused an irritation or negative reaction. Score! Overall, I am so glad I picked up this mask. I was super impressed, and I am looking forward to trying the other two! What do you all think of L'Oreal's Purify & Mattify Treatment Mask? Planning on trying a mask from the lineup?